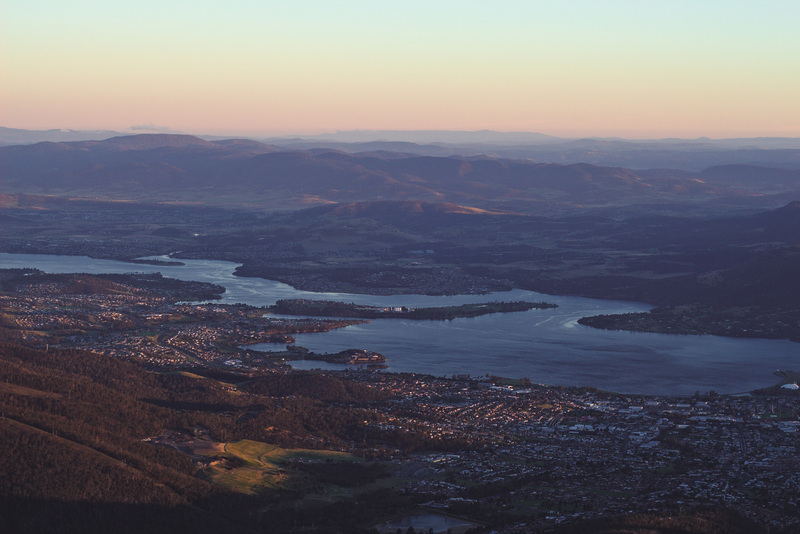 Sunrise over Hobart seen from Mt Wellington, Tasmania (CC-BY-SA 4.0). I have arranged a whopping 420 pairs of GNOME socks produced and hopefully arriving before my departure. baby Socks, ankle socks, regular Socks and even knee socks – maybe I should order an extra suit case to fill up. Even so, I estimate I can probably bring 150 pairs at max (last year my small luggage held 55 pairs..). Because of the large quantity I’ve designed them to be fairly neutral and “simple” (well, actually the pattern is rather complicated). 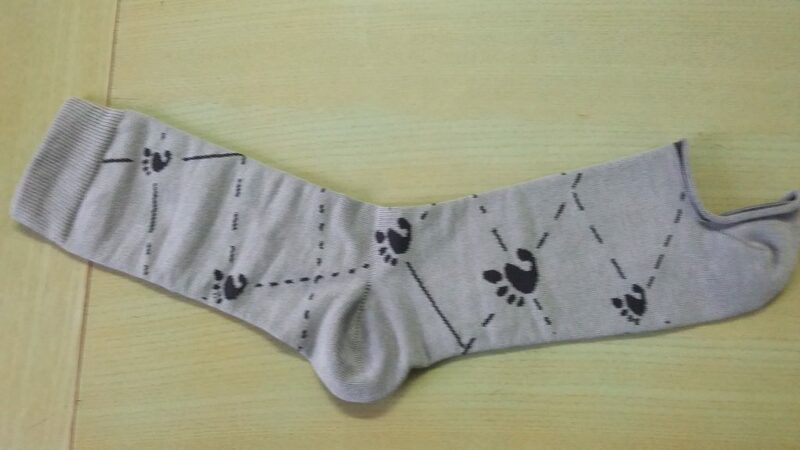 Sample sock made prior to production. Breakdown of the horizontally repeatable sock pattern. I plan to bring them to FOSDEM 2018, Open Source Days in Copenhagen, FOSS North and GUADEC. However, we have also talked about getting some socks shipped to the US or Asia, although a box of 100 socks weigh a lot resulting in expensive shipping. So if anyone is going to any of the aforementioned conferences and can keep some pairs in their luggage, let me know! Apart from GNOME Booth staffing I am also helping out with organizing small newcomer workshops at FOSDEM! If you are coming to FOSDEM and is interested in mentoring one or two newcomers with your project, let us know on the Newcomer workshop page (more details here too). Most of all, I look forward to meeting fellow GNOME people again as I feel I have been gone quite a long time. I miss you!